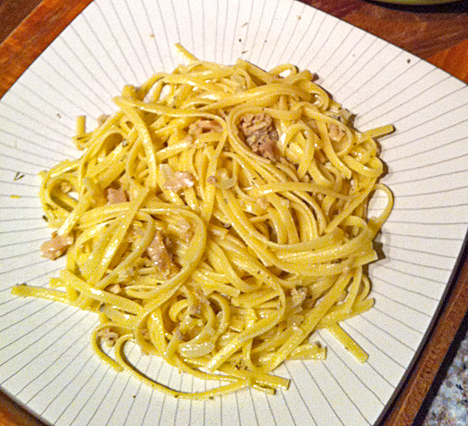 Linguini in Lemon Clam Sauce | Let's Cook With Bry! My Dad LOVES this dish! He asks my second mom to make it whenever he’s in need of some good, hearty comfort food. It’s quick, easy, and heart-warming! Sauté onion and garlic in butter until tender. Add lemon peel, lemon juice, parsley, bay leaf, thyme, and s+p. Drain clam juice into pan, and simmer, uncovered, until reduced by 1/2. Meanwhile, cook linguini al dente. Add butter and clams to pan and heat through. 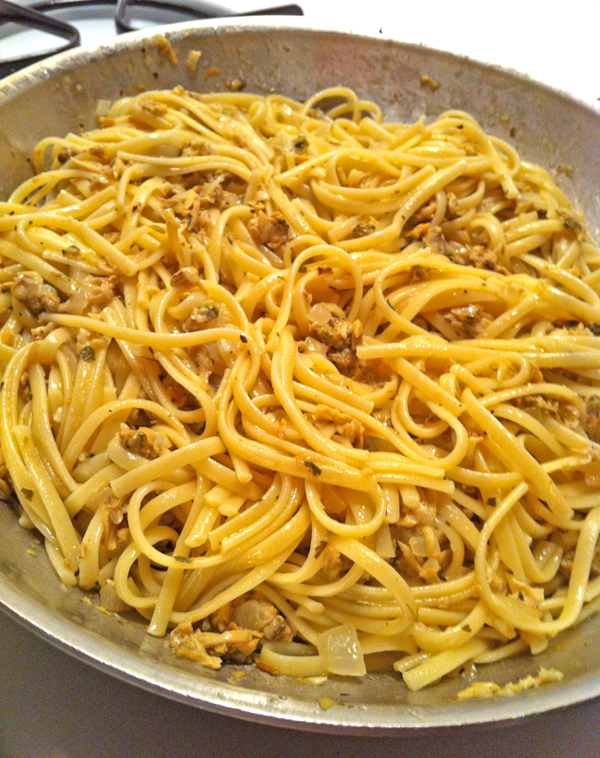 Drain linguini and place into heated serving bowl. Add clam sauce and toss thoroughly. Serve with lemon wedges and parmesan cheese.